George Nelson Bubble lamps in all probability produced by the Howard Miller Clock Company were used as a prop in the 2002 biographical spy comedy film Confessions of a Dangerous Mind. Starring Sam Rockwell, Julia Roberts, Drew Barrymore and George Clooney. 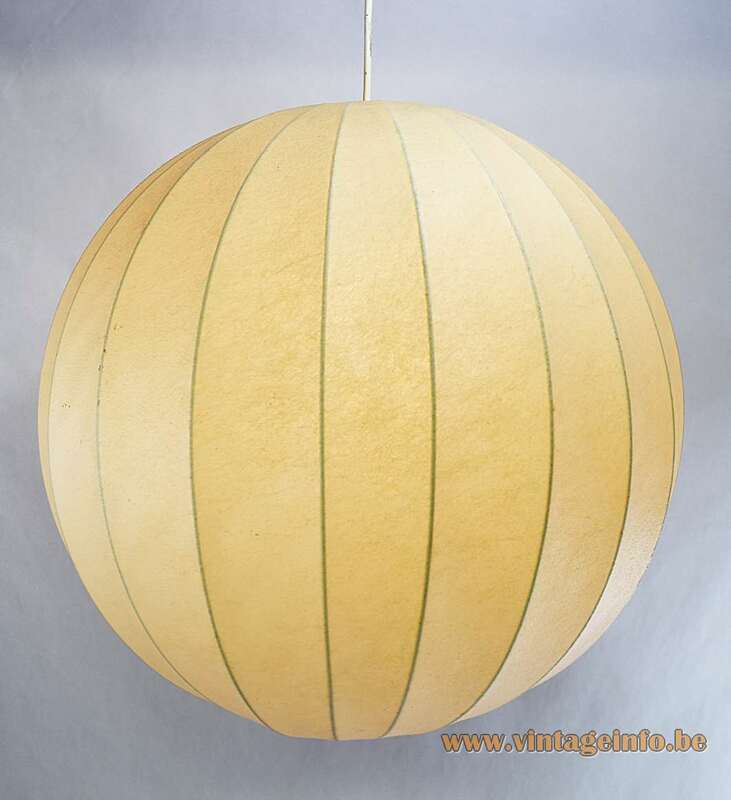 The company that specialized in these lamps was Cocoon-Leuchten International ( Goldkant-Leuchten) from Germany. 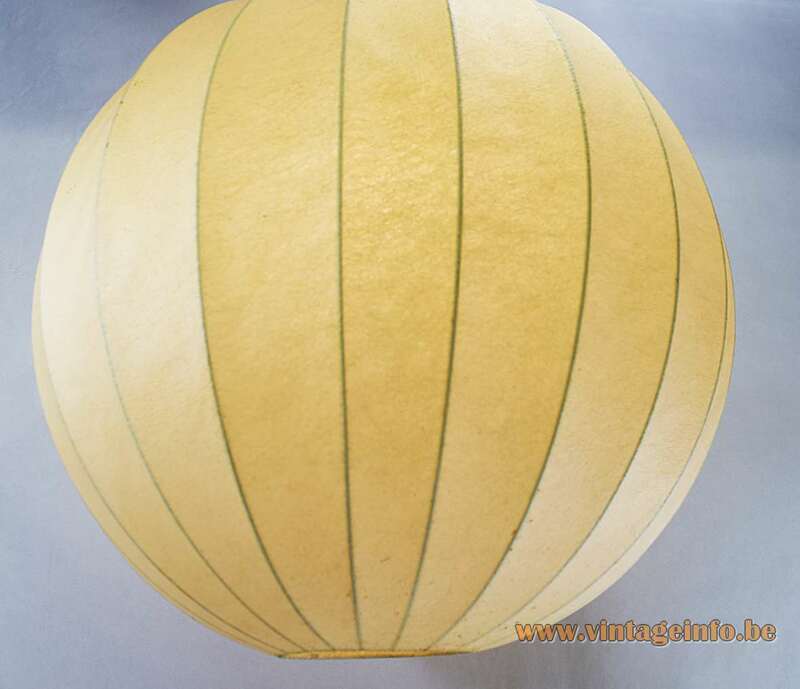 The Raak lamp is made in the same period many other companies started using this kind of material in lighting. This lamp appears for the first time in a catalogue in 1962. In the late 1950s Arturo Eisenkeil brought the technique to Italy and together with Dino Gavina, Achille and Pier Giacomo Castiglioni, Sergio Biliotti, Carlo and Tobia Scarpa, Ignazio Gardella, to name the most important designers, the Flos company was born. The first cocoon lights were named: Gatto, Taraxacum and Viscontea by the Castiglioni brothers and Fantasma by Tobia Scarpa. 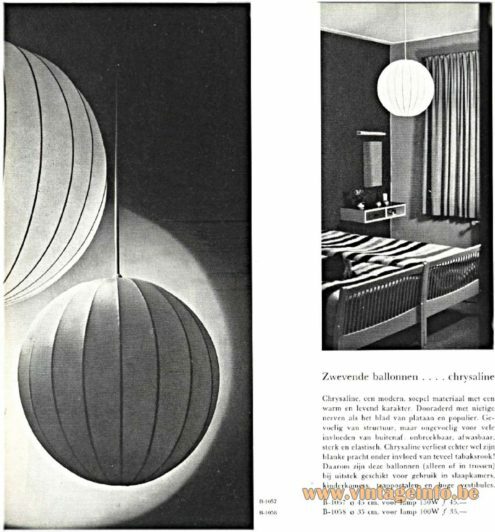 IKEA sold a similar lamp, as you can see in the catalogue from 1966. 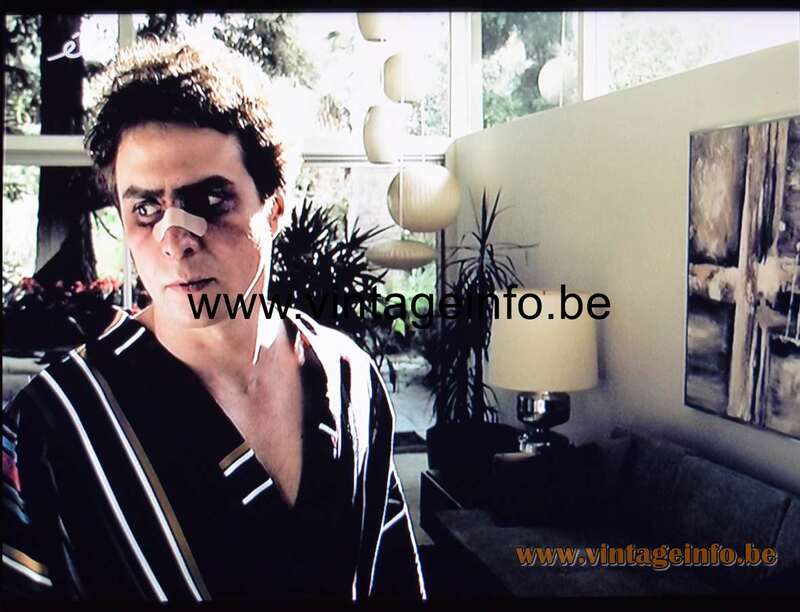 The Raak Chrysaline pendant lamp or a similar lamp by Goldkant Leuchten was used as a prop in the 1974 Anglo-German espionage thriller film The Odessa File. An adaptation of the novel The Odessa File by Frederick Forsyth. The film is set in 1963. The film stars Jon Voight, Maximilian Schell and Maria Schell. 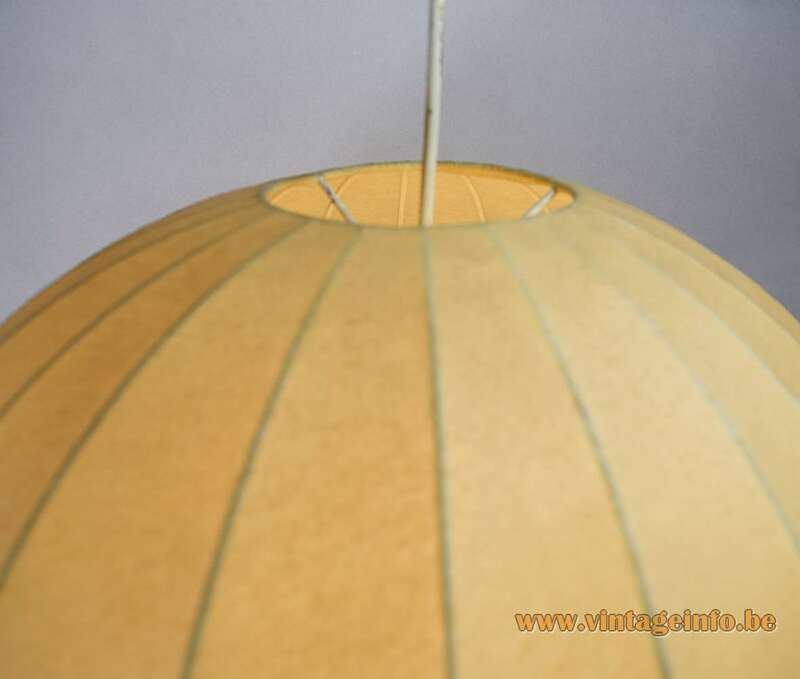 Materials: Big globe lamp made of a metal (iron) round frame and plastic “Cocoon” sprayed around it. Bakelite socket. Any type of light bulb can be used, preferably a white/opaque bulb. Other versions: Also made in a smaller version of 35 cm / 13.77”, The B-1058 model. 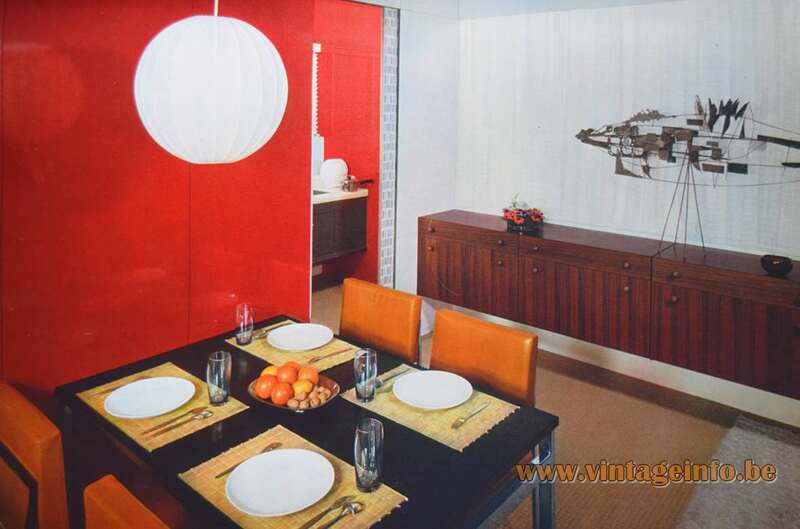 A strange thing is that the B-1057 label also is used for another Raak pendant lamp, as you can see over here on Vintageinfo. 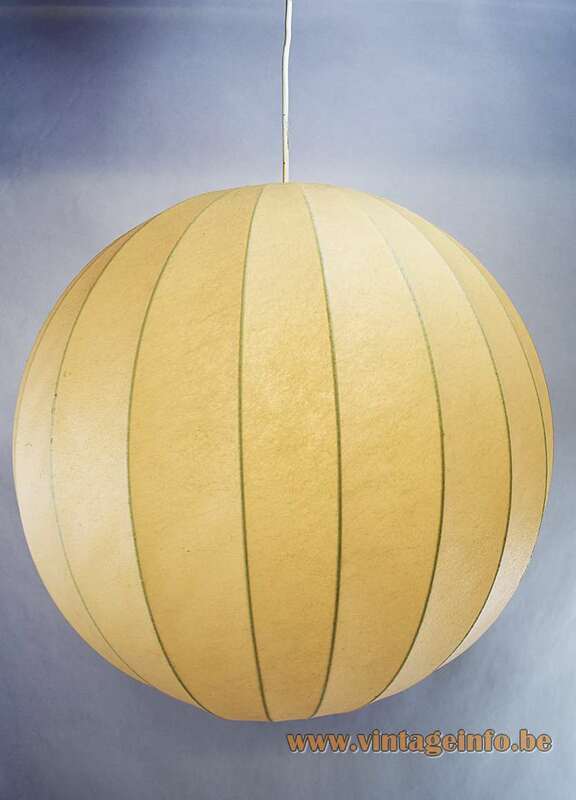 Many people think these lamps are made of pig’s bladder. It is not, of course. 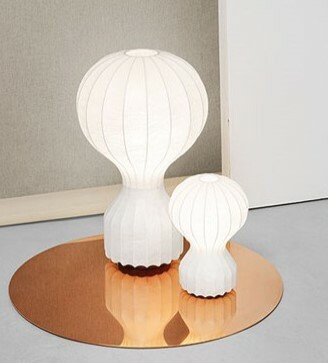 In all probability Goldkant-Leuchten, Friedel Wauer GmbH & Co KG from Germany produced this lamp for Raak. Friedel Wauer who is credited by Flos for devising the technology of spraying the material onto iron frames, was inspired by the “self-wrapping” of a silkworm, hence the naming “cocoon”. 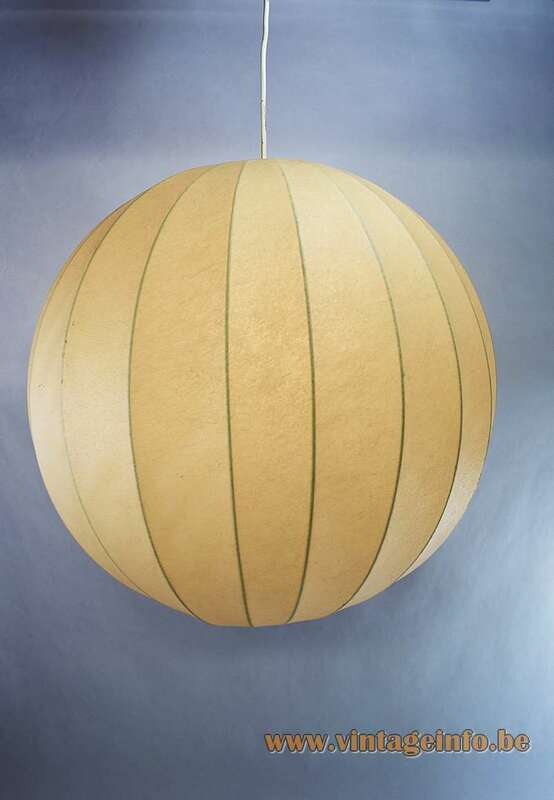 The first one who used this kind of material is George Nelson in 1947 for his Bubble Hanging Lights. The technique was been developed for mothballing naval ships. George Nelson referred to these lights as “one of those happy accidents which occur all too infrequently in the designer’s experience”. onbreekbaar, afwasbaar, sterk en elastisch. Chrysaline verliest echter wel zijn blanke pracht onder invloed van teveel tabaksrook! Daarom zijn deze ballonnen (alleen of in trossen) bij uitstek geschikt voor gebruik in slaapkamers, kinderkamers, trapportalen en hoge vestibules. unbreakable, washable, strong and elastic. Chrysaline loses its white splendor under the influence of too much tobacco smoke! 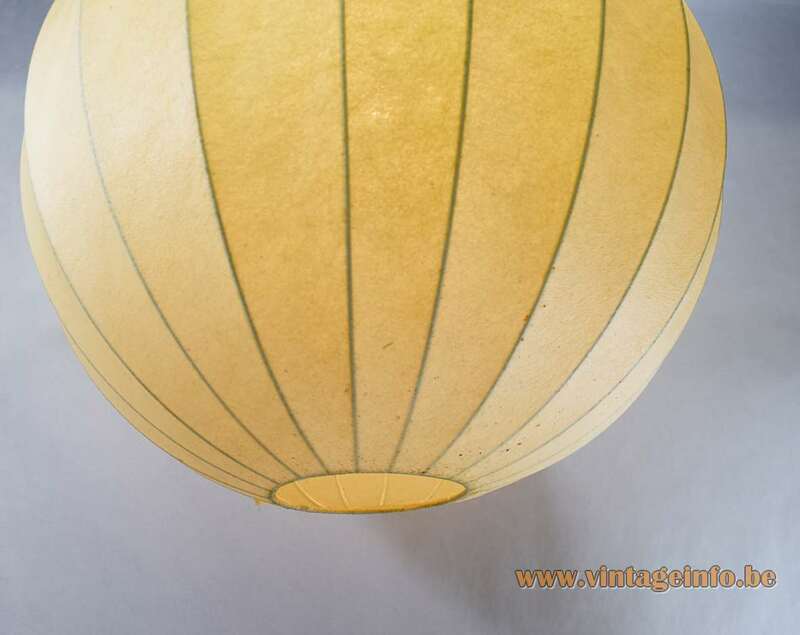 Therefore, these balloons (alone or in bunches) are ideal for use in bedrooms, children’s rooms, staircases and high vestibules. Picture taken from L’ Art Ménager, edition 1963 – Paul Breton – published by Flammarion, Paris, France. Website: Editions Flammarion – This exellent book is off course no longer available but with a little luck you can find it for a nice price on the electronic highway.